For someone who is passionate about food, there may not be a more exciting place to live than the Southern New England coast. In many ways, food is at its center. Dating back to the days of whaling ships and fishing ports, the region is steeped in history. These ships brought immigrants to local shores, most notably the Portuguese, who are now deeply woven into the fabric of this region. My cookbook will take you on a culinary journey along this remarkable coastline. 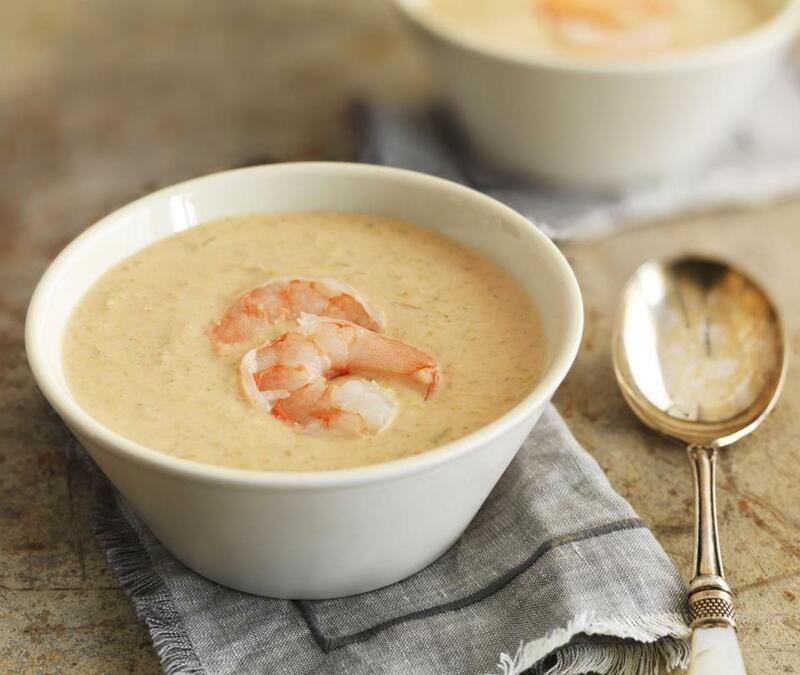 In a large saucepan, combine shrimp shells, bay leaf, orange zest, stock, and 2 cups water. Cook over medium heat for 10 to 15 minutes. Strain and reserve liquid. In the large saucepan, heat oil and 2 tablespoons butter over medium heat. Add leeks and shallots, cook until softened, 7 to 10 minutes, and season with salt and black pepper. Add garlic and cayenne and cook for another 1 to 2 minutes. Add shrimp and cook, stirring occasionally, until cooked through, 2 to 3 minutes. Add sherry and cook for another 2 to 3 minutes. Transfer to a food processor (in batches if necessary) and process until pureed but mixture still has some texture. 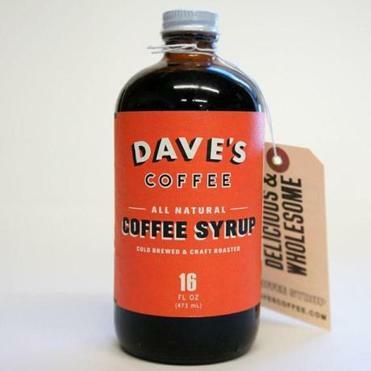 Tip: I recommend Dave’s Coffee’s Coffee Syrup. It has a pure flavor that isn’t too sweet. In the saucepan, melt remaining butter. Add flour and cook over medium-low heat for 1 minute, stirring and scraping bottom of pan. Add cream and whisk until mixture thickens, 1 to 2 minutes. Stir in reserved stock and tomato paste to combine. Stir in shrimp mixture and heat until warmed through, about 10 minutes. Season with salt and pepper and serve warm. Preheat oven to 350 degrees. In a large nonstick pan, cook chourico over medium heat until golden brown and cooked through. Remove with a slotted spoon, transfer to a small bowl, and set aside. To pan, add 1 tablespoon olive oil over medium heat. Add onion, cook until softened, 5 to 10 minutes, and season with salt and pepper. Add garlic and cook another 1 to 2 minutes. Transfer to the bowl of chourico. Add bread crumbs and 1 tablespoon olive oil and stir (mixture will be loose). A milkshake that’s not to be missed. Remove string from pork loin and discard. Have your butcher’s twine ready. Place pork loin on a cutting board with fat side facing out on left. Using a sharp knife, carefully slice pork loin so it opens like a book. (Do not cut completely through.) Cut as deep as you need so that pork loin will open flat. Place a large piece of wax paper over pork loin, and using a mallet or rolling pin, gently pound out pork until uniform in thickness, about 1 inch. (This ensures even cooking.) Turn board so that pork loin is lengthwise. Spread stuffing evenly over pork, leaving about a ½-inch border on all sides. Gently press stuffing down then slowly roll lengthwise, enclosing as much stuffing as you can in pork loin (some will fall out; that’s OK) ending with seam side on bottom. Tie pork at 4 intervals with new butcher’s twine, just tight enough to hold pork and stuffing together. (Stuff in any excess on either end if possible.) Cut off extra twine at knots and season pork with salt and pepper. In a large roasting pan or Dutch oven, heat remaining olive oil over medium-high heat. Add pork loin, seam side down, and sear on all sides until golden brown, 10 to 12 minutes. Add 1 cup stock to pan and place in oven. Cook, uncovered, for 35 to 45 minutes. The cooked roast should have an internal temperature of 140 to 145 degrees (be sure not to hit stuffing when testing temperature). Remove pan from oven. Transfer pork to a cutting board and cover loosely with aluminum foil. Allow to rest for 10 minutes. Return pan to top of stove. Add remaining 1 cup stock and bring to a boil. Reduce heat to low and allow sauce to thicken, about 10 minutes. Stir in butter until melted. Remove twine and discard. Cut pork into slices and serve. TIP I recommend Dave’s Coffee’s Coffee Syrup. It has a pure flavor that isn’t too sweet. When I moved to the South Coast, I fell in love with coffee milk at first sip. Here, the drink is transformed into a special-occasion dessert. Whisk together sugar, cornstarch, and salt in a medium saucepan. In a medium bowl, combine milk, heavy cream, coffee syrup, and vanilla. Whisk into dry mixture until combined. Place saucepan over medium-high heat. Cook, whisking continuously, until mixture has thickened, about 15 minutes. If mixture starts to boil, lower heat to medium while it cooks. When thickened, add white chocolate and whisk until completely melted. Remove from heat and stir in butter until melted. Ladle pudding into serving dishes (or glasses) and cover tightly with plastic wrap, placing it directly on surface of pudding to prevent a skin from forming. Refrigerate until set, at least 2 hours. 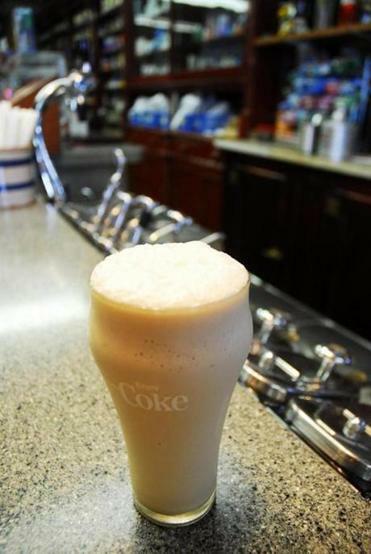 Serve cold with whipped cream and a dusting of coffee beans (if using). Excerpted with permission from The Coastal Table by Karen J. Covey. Copyright © 2014. Union Park Press. Send comments to magazine@globe.com.